Scottish Presbyterians developed schism to a fine art in the 18th and 19th centuries, with groups falling out and rejoining over different points of doctrine but principally about the right of the local landlord, rather than the congregation itself, to appoint the parish minister – the “right of patronage”. The Rev. Gregor MacGregor, minister on Lismore from 1836 to 1885, appointed by the Duke of Argyll, managed to hold the people of Lismore tightly within the Established Church of Scotland. He was one of only two parish ministers in Lorn that did not join the Free Church at the Great Disruption of 1843. However, by the 1830s, there was a small congregation of dissenting Presbyterians in the south of Lismore associated with the United Secession Church – seceding from the parish church because of patronage. This was an act of considerable courage because the members became outcasts from society; for example, they did not qualify for poor relief and the baptism of their children was not recognized by the authorities. The congregation of 29 communicants (qualified to take communion), led by John Brown, a Gaelic-speaking missionary, renovated and rented the Roman Catholic chapel at Kilcheran (£8 per annum) from 1840. In 1842 they called the Rev. William Wood to be their minister, and he served up to his death in 1861 at the age of 72. Evidence to the Poor Law Commissioners in 1843 shows that he was a fine pastor, providing help to the poor outside his congregation. Needing the buildings at Kilcheran for his own use, the new owner, James Cheyne, provided the church with land on Baligrundle, and the congregation proceeded to build their church – big enough for 250 “sittings” – at a cost of £200. Most of the funding seems to have been provided by the mother church. 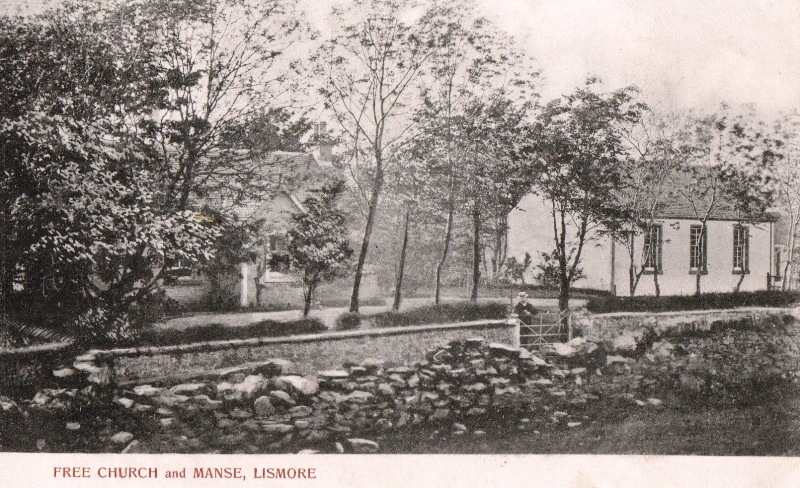 By 1847, seceding churches came together across Scotland, and the Lismore congregation became part of the United Presbyterian (UP) Church, but this did not lead to any increase in membership. In the 1860s, the number of communicants remained in the 20s, although up to four times that number attended services (possibly because of the distance to walk to the parish church). As the reuniting of the strands of Presbyterianism progressed, the UP church nationally merged with the Free Church to form the United Free Church in 1890, with a membership of 38 at Baligrundle. Neil McCormick, who established a successful store and tailoring business on Lismore, was a staunch supporter of the Baligrundle Church. 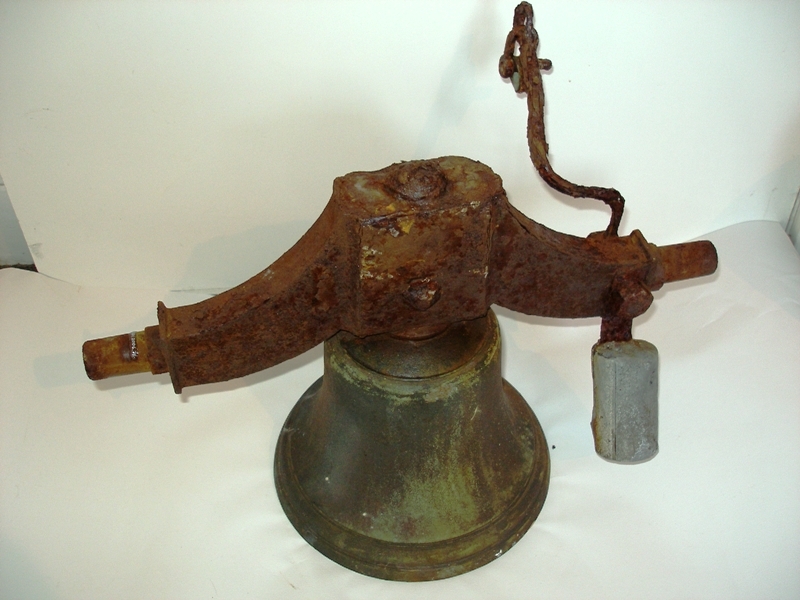 After he died in 1902, at the early age of 44, his family donated a bronze bell in his memory. 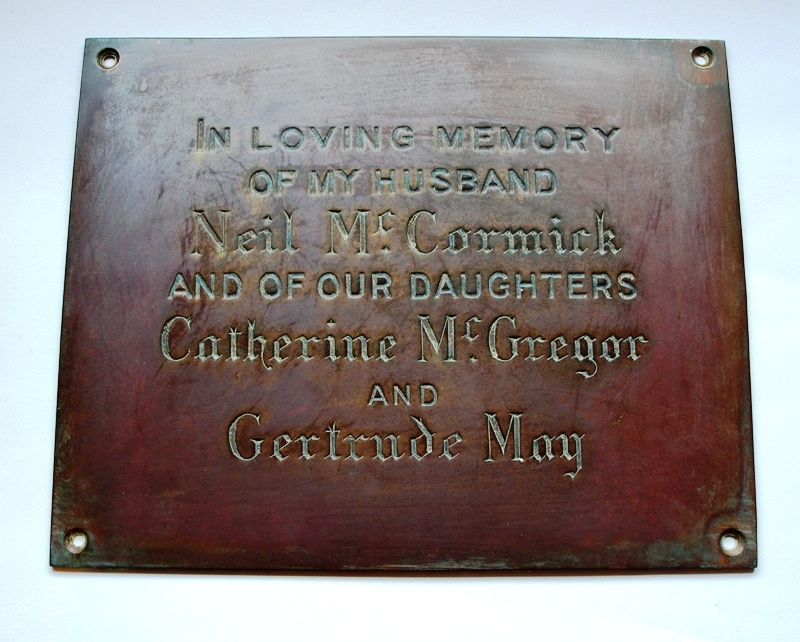 Later, with the tragic death of two of his daughters in the influenza epidemic of 1918, Neil’s wife, Elizabeth Davidson, commemorated their lives in a brass plaque for the church. When the next opportunity to rejoin other Presbyterians arose with the historic merger of the Free and Established Churches in 1929, the Baligrundle Church declined to take part and drifted off in the rump called the United Free Church Continuing. This small group of congregations decided to support the mission field in Bechuanaland (now Botswana), where David Livingstone had famously converted Chief Sechele. 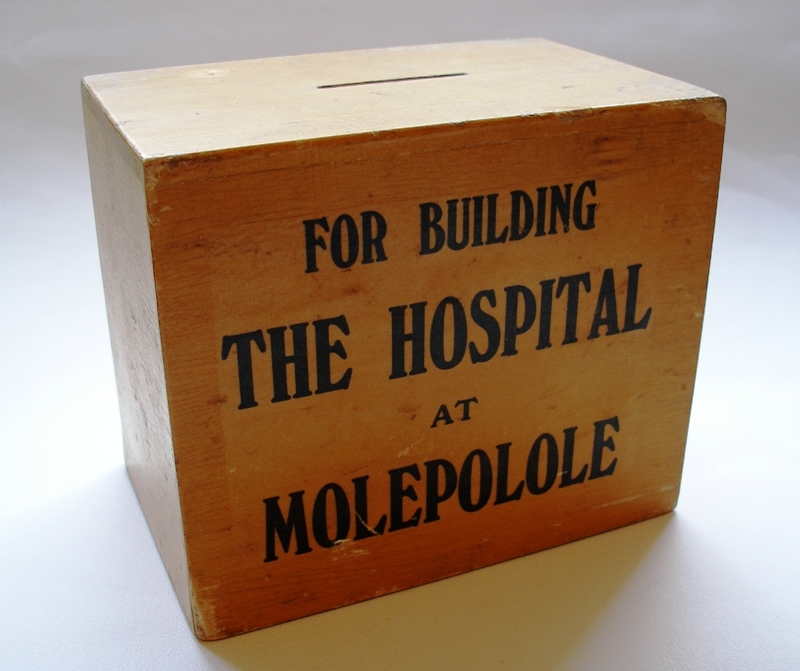 They built and supported the Scottish Livingstone Hospital in Molepolole (which continues to this day), and the museum holds one of the collection boxes for this charity. In the twentieth century, the Baligundle Church community dwindled to just four families including the Daisybank McCormicks and Achnacroish Blacks (the family of Donald Black one of the founders of Comann Eachdriadh). In due course, the congregation lost its full-time minister and the last services, summer only, were conducted by a lay preacher. 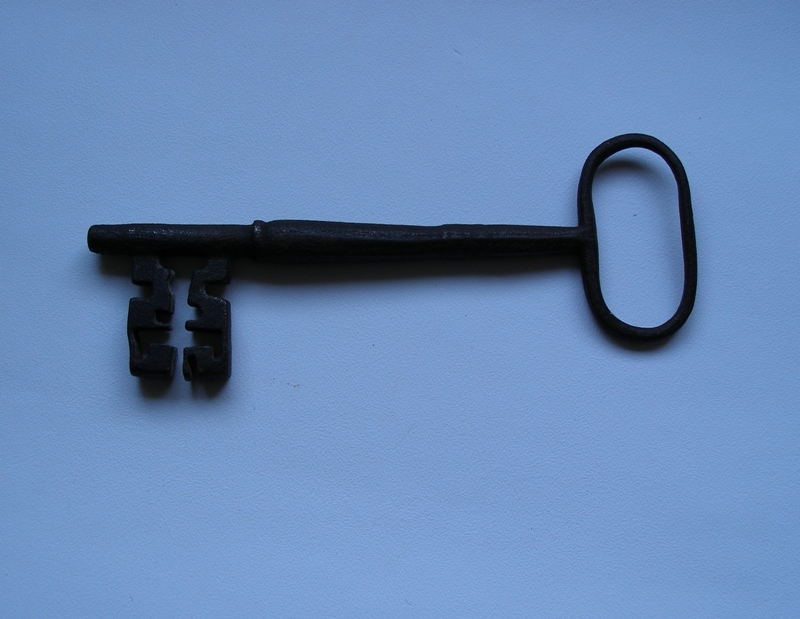 The congregation had ceased to function by 1970 and, in 1972, the church and manse were sold to the Odling family, who generously donated all of these objects to CELM. 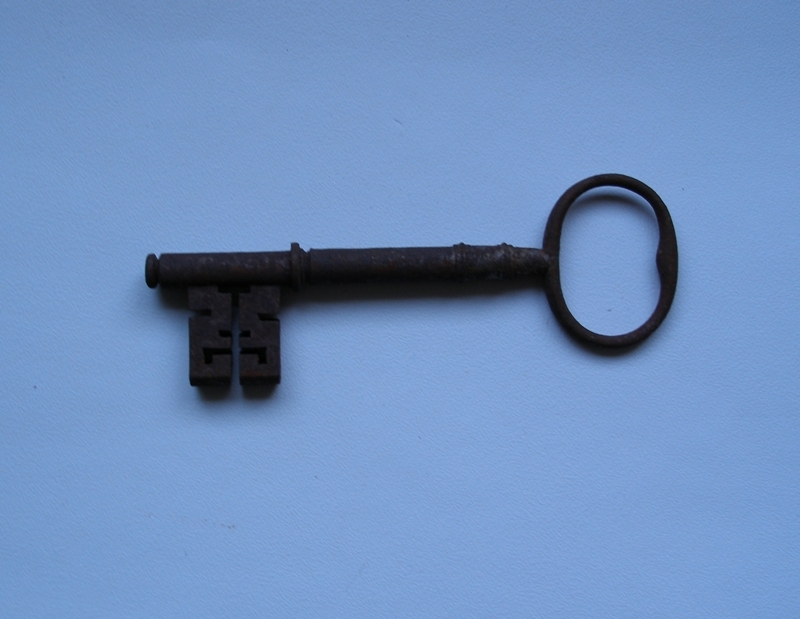 Source for church history: Small, R. (1904). History of the Congregations of the United Presbyterian Church, 1733-1900. Vol 2. Edinburgh.